The Dufour 460 Grand Large has a king size galley, saloon and chart table, these are some of the many details that simplify life on board a Dufour 460 Grand Large. Even the bilges are used for dedicated storage, including a wine cellar and shoe cuddies. The Dufour 460 Grand Large features a wider transom, more generous swim platform and larger hull windows for even more light into the accommodations. 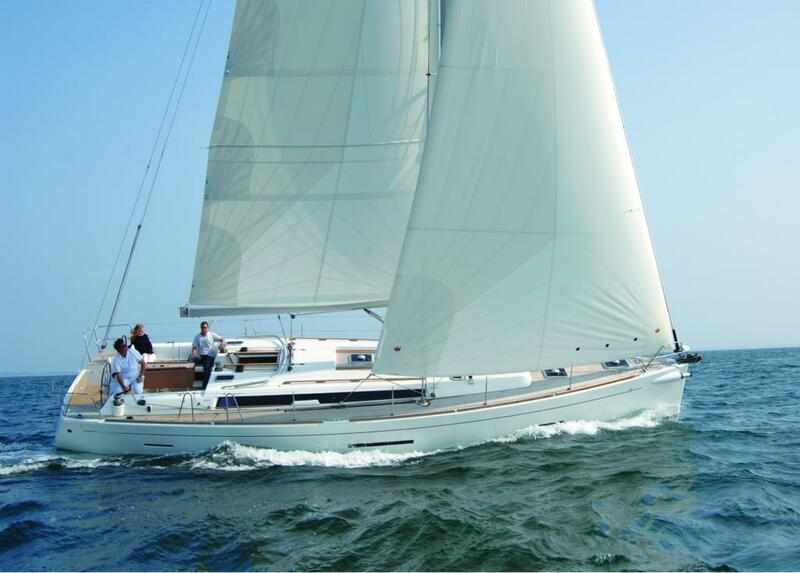 The moderate draft, displacement and sail area on the Dufour 460 Grand Large result in a good looking, easy to handle cruising boat with a turn of speed to be envied. Both safety and comfort are standard on the Dufour 460 Grand Large; standard specification on all models includes lifeline gates, bathing ladder, deck lights, Corian galley worktops and a three burner gimbled oven, along with many others.